The Government introduced Pupil Premium in 2011. It is additional to main school funding and is intended to address the current underlying inequalities between children eligible for free school meals (FSM) and their peers by ensuring that funding to tackle disadvantage reaches the pupils who need it most. The Pupil Premium is allocated to schools to work with pupils who have been registered for free school meals at any point in the last six years. Schools also receive funding for children who have been looked after continuously for more than six months, and children of service personnel. 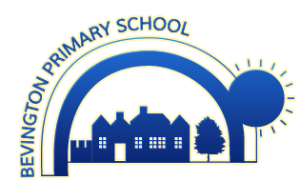 At Bevington we have identified a number of barriers which disadvantaged pupils (those entitled to Pupil Premium) face through their time at Bevington Primary School. These are barriers which can impact on pupils’ attainment, progress and wellbeing, particularly in comparison to their peers. At Bevington, we target our use of Pupil Premium funding to remove the barriers we have identified and improve standards for eligible pupils. In 2017-18, Pupil Premium eligible pupils formed 42% of the school population. We track our expenditure carefully through the year, and we are continuously assessing the impact of this funding. At Bevington, we expect all pupils to achieve their potential, regardless of background or starting point. As a result, disadvantaged pupils consistently perform equal to, if not above, the standard of their peers by the end of their time in Bevington. In 2018, 67% of the disadvantaged pupils in our Reception cohort achieved the Good Level of Development, compared to the cohort average of 68%. However, in 2018, 91% of disadvantaged pupils achieved the combined expected standard by the end of KS2. Nationally, this compares to 70% of non disadvantaged pupils achieving the combined expected standard. This shows that disadvantaged pupils at Bevington make exceptional progress, and that by the end of their time at our school, any differences between them and their peers are negligible. It also shows that they out-perform non-disadvantaged pupils nationally by the end of their time at Bevington. We review our Pupil Premium funding in line with the financial year (April-April), however we measure its impact in line with the academic year (September-September). We are constantly measuring the daily impact of our Pupil Premium expenditure, however this will next be reviewed formally in September 2019.